In 2018, Hackney has begun to be referred to as London’s “vegan quarter”. 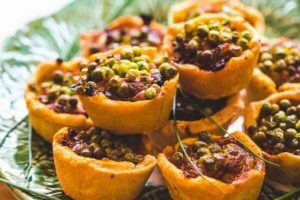 With Hackney Vegan Market – based at Hackney Downs Studios – expanding to two days a weekend and new vegan-centric businesses popping up left, right and centre, it’s certainly the place to be plant-based. 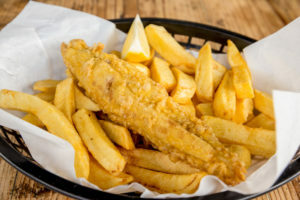 One of Hackney’s best-loved eateries, the Sutton and Sons fish and chip shop has recently reopened Graham Road branch with a vegan-only menu, following the overwhelming popularity of a vegan menu that was introduced in the other branches earlier this year. So why are the vegans gathering in East London? We spoke to some of our favourite vegan venues to understand how Hackney has embraced the plant-based lifestyle. Of course, veganism itself is not new. The term was coined in 1944 by Donald Watson, founder of the Vegan Society. But since 2016 the number of vegans in the UK is said to have increased by over 500%. 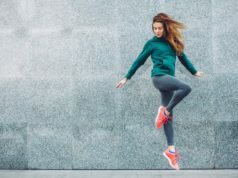 This uptake has been accredited partially to the rise of social media, and the ability to share ideas and inspiration that make the concept of excluding animal products less daunting. As part of this, chefs, restaurants and cafes began experimenting with vegan dishes. 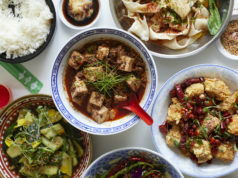 Vegan cafes like Lele’s have been popular in the borough for some years, with many chefs pointing to the Black Cat cafe, which host pop-ups and events that allow vegan cooks to try out their craft, as an inspiration. And vegan ‘junk food’ has found a new home too, showing that veganism isn’t ‘holier than thou’, as plant-based fried ‘chicken’ shop Temple of Seitan is a testament to. 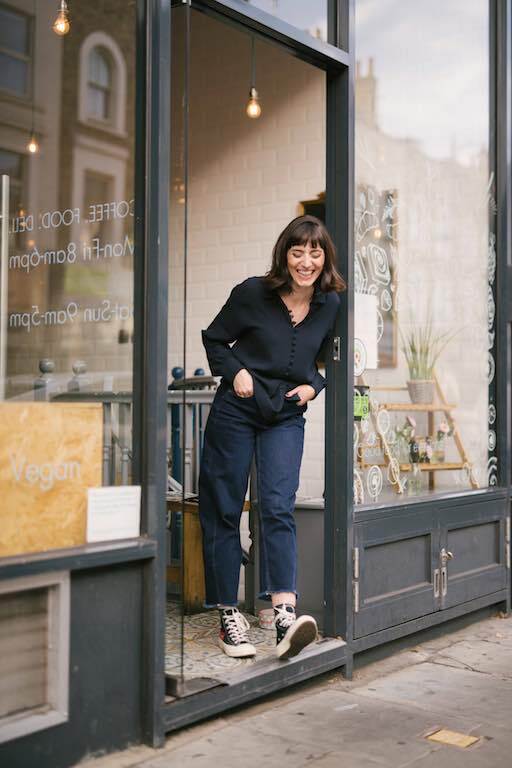 The mania for pop-ups in London has helped the trend spread, but many vegan businesses settled in Hackney after enough success to open ‘bricks and mortar’ locations. 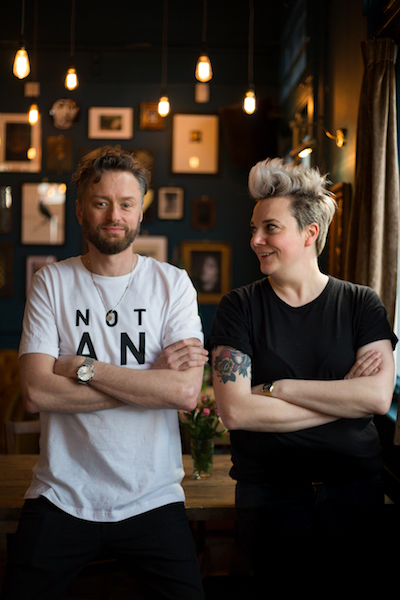 Early in 2018, the Spread Eagle, London’s first vegan pub – 100% plant-based from the food to the furniture – opened. 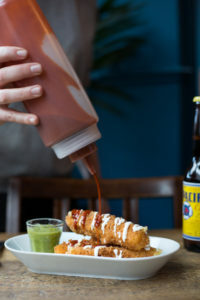 Its kitchen is run by Club Mexicana, the vegan creatives who built success at street food markets and pop-up kitchens. Meriel Armitage founder of Club Mexicana and co-founder of the Spread Eagle says “People in Hackney are inherently curious. 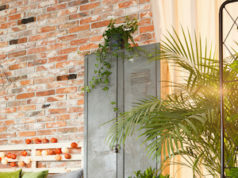 There’s a desire to know what’s new and exciting and be a part of it. All the restaurants in Hackney are exciting: they don’t fit with the normal mould, and that’s the same for vegan food, so the two match well. And business is booming for the plant-based. Biff’s Jack Shack opened a new Boxpark Shoreditch location in October; new restaurants like Stokey Veg Vegan on Stoke Newington High Street are opening all the time; and well-established favourites are adding vegan menu options, like Sutton and Sons’ new branch. What’s more, non-vegans are making up a significant percentage of the plant-based restaurants’ customer bases. 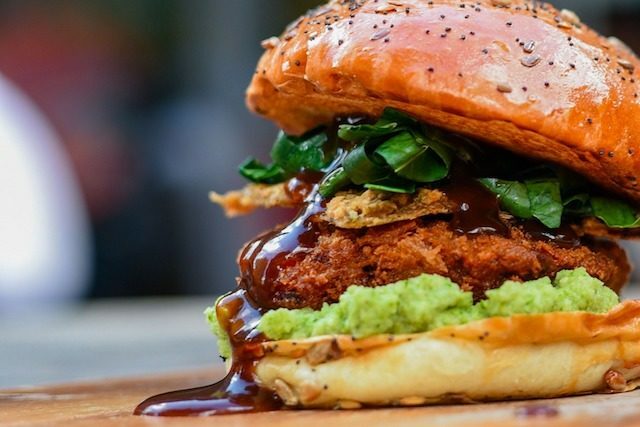 While the vegan audience has traditionally been strict, these businesses are taking an open-minded approach to those trying to reduce their meat and dairy consumption. “We’re about inclusivity. Everyone should be free to do what they want; forcing people to go in a direction never works. At Lele’s, we offer the opportunity to try some tasty food that happens to be vegan. It’s really dangerous to close yourself off,” says Valentina Fois. The future’s looking green in Hackney.